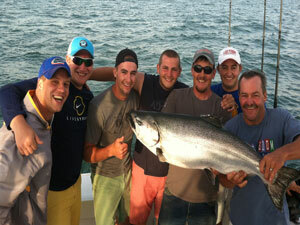 Looking for a fun, top-notch Lake Ontario fishing charter? 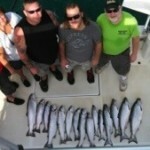 Like to fish and spend time with others in a social atmosphere? You’ve come to the right place. 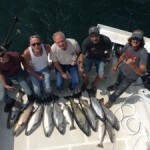 Lone Wolf Sportfishing is the premier year-round fishing charter and guide service for the mighty Niagara River and Lake Ontario. We strive to make every trip on the water an experience of a lifetime; you can expect great fishing, an awesome social experience, and tons of fun and excitement! Whether you need a break from work, want a fun trip for your family, are planning a ‘guys getaway’ or just want to try something new, we promise you will have the time of your life with Lone Wolf Sportfishing. Why us? Our customers tell us that these are the things they love most. 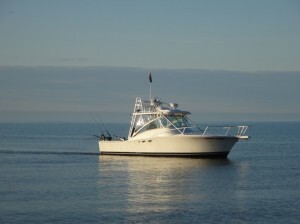 TOP VESSELS & EQUIPMENTFor our Lake Ontario fishing charters we troll the open waters in a fully decked out Luhrs 32 Open. No expense has been spared in rigging and maintenance, ensuring your special day on the water is safe and enjoyable. For salmon and trout in the Niagara River and other local tributaries, there isn’t a better boat built than a Lund. We run 19’ ft. Lund Pro Vs, powered by quiet, powerful four-stroke motors with top-of-the-line gear and tackle to ensure that nothing comes between you and that trophy of a lifetime. 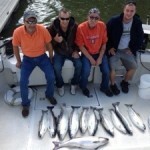 GREAT FISHING & FUN TIMESNo one is more committed than our team in making sure you have fun and enjoy a social experience and consistent fishing action. Whether you want to catch a steelhead for the first time, hook your biggest king yet or simply catch more than ever before, we’ll do our best to meet your goals and make sure you have a blast in the process! 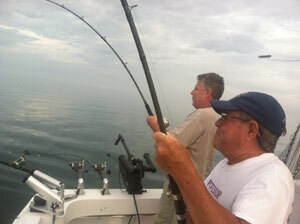 IDEAL LOCATIONLone Wolf Sportfishing is one of the only full-time charters on Lake Ontario that fish year round. We are ideally located in the Niagara Region and troll the open waters out of the port of Wilson (which is the closest port to the world renowned Niagara River Bar). We are in the southwest corner of the lake with predominant SW wind that grants us the calmest waters (that’s a scientific fact). No matter the time of year we know where to catch the fish! We want you to have the best and most fun fishing charter experience imaginable, so please do not hesitate to contact us with questions.